Southern Development Corporation (SDC) began with the same hope of most businesses across the country: to be successful, to grow, and to be sustainable. Through hard work and adhering to important values, the realization of this hope became a reality. SDC has recently and proudly completed its fifteenth (15th) year in business and has had many success stories, some of which are highlighted throughout this website. Established in 1998, SDC has quickly become one of the fastest growing companies in America. 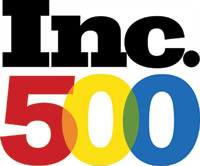 In fact, in 2003 and 2006 the Company was recognized by Inc. Magazine as being one of the 500 fastest growing companies in the United States. To be a leading national civil contracting firm, with emphasis on providing the highest quality product and service to our clients. We believe that construction can deliver more than just a built environment. Well conceived projects can enhance communities in a number of ways. Well thought out , professionally managed and designed projects can provide enhanced value for owners, as well as end users. To create a better world, one skillfully delivered project at a time, by taking the time needed to understand the unique environment, design criteria, and impact on the local and extended environment as well as economic challenges specific to every project. SAYAR Enterprises does the heaviest part of heavy construction projects: excavation, grading, underground utility work, paving ”everything you see outside of a building,” in the words of CEO George Sayar. Sayar, whose family emigrated to the United States when he was 16 years old, believes in the value of a good day’s sweat: “Hard work can still get you far in this country,” he says.